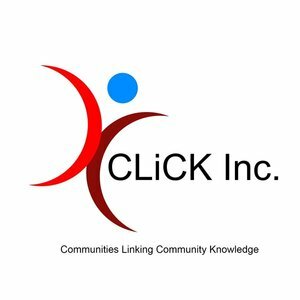 Communities Linking Community Knowledge (CLiCK) Inc is a nonpartisan not-for-profit organisation that believes that one can only fully participate in Australian society if two fundamental rights are upheld; equitable access to technology and education. CLiCK Inc believes that access to technology and education is no longer a want, but a need. Societal, econonomic and democratic participation requires access to numerous forms of technology and education, it is no longer a luxury but a right. Thanks to a technological revolution in society, these two rights are now interlinked, one cannot exist without the other. We cannot have a society where we expect people to empower themselves if they do not have access to education. Furthermore, we cannot expect people to be educated, in any sense of the word, without being emmersed in technology. As such, access to equitable and affordable technology and education is the base ideal of CLiCK. b) To identify and advocate strategies designed to increase technology ownership, usage and education with people who are at risk or in political, economic and/or social need. c) To raise awareness within the community of the benefits of technology and education. d) To act as a focal point and to represent people who are at risk or in political, economic and/or social need within both government and the community for all technological and educational matters. e) To represent consumers of technology and education. f) To facilitate the involvement of people at risk or in political, economic and/or social need in decision making, service provision and evaluation process in matters concerning technology and education.